Manufactured from quality, non-crease material with a sturdy rubber backing, this striking red playing surface is perfect for quickly turning any table or similar flat surface into a functional gaming area. 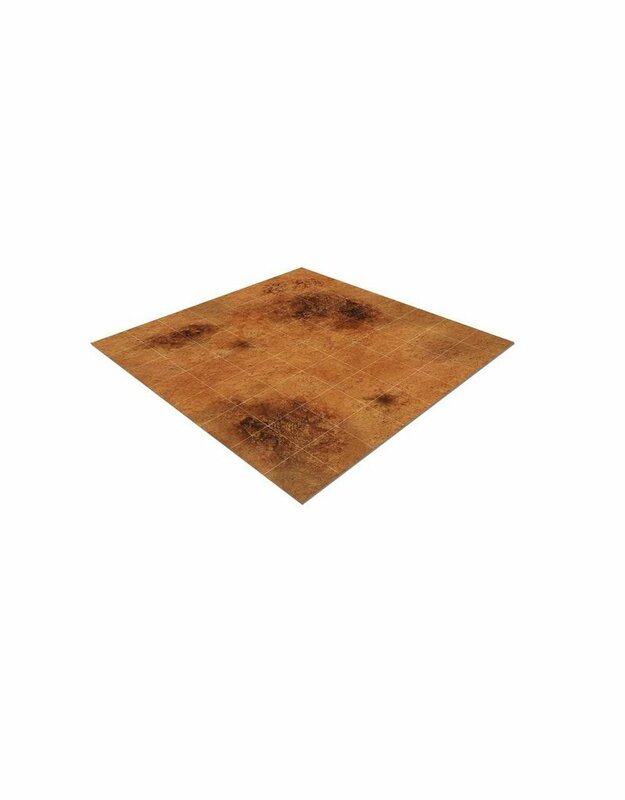 Representing the barren dustlands of Exham IV, the mat can also be used to simulate the unforgiving surface of Mars, or even the dustbowls of a wartorn apocalyptic earth – the only limit is your own imagination. This set contains 1 2’ x 2’ Deluxe Rubber Mat with Red Planet Artwork.